A couple living in London interrogated their young French au-pair relentlessly for hours before murdering her and burning her body to cover up the crime, prosecutors told a court Tuesday. 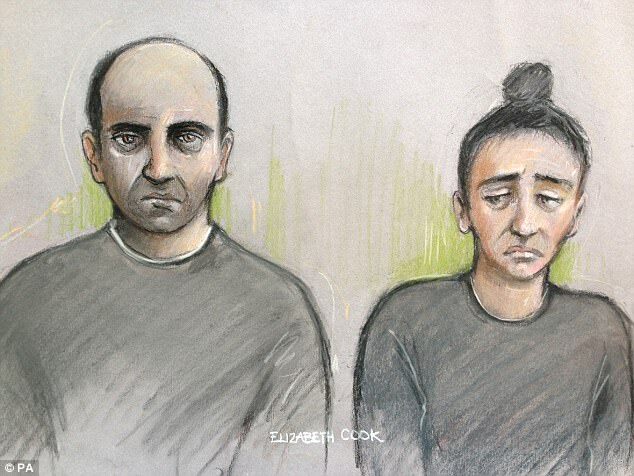 Their mother, Sabrina Kouider, 35, and her 40-year-old partner Ouissem Medouni, also French, are standing trial at England’s Old Bailey central criminal court for the murder of Lionnet. In one of the clips, in which the defendants switch between English and French, Kouider is heard screaming at Lionnet. “I pray to God not to make me touch you. I don’t want to make my hands dirty,” she told the nanny in a clip dated September 11. Kouider, dressed in a black coat, and Medouni, in a navy blue suit, sat in court where a number of the victim’s family were also present. During the interrogations, the couple accuse Lionnet of collaborating with Kouider’s former partner Mark Walton — who was an original member of the Irish pop band Boyzone. They accuse her of helping him enter the family home and drug and sexually abuse family members. The couple applied “pressure and relentless intimidation” on Lionnet into getting her to agree to their fantasy story, prosecutor Richard Horwell told the court. Both defendants have pleaded not guilty to murder. Lionnet’s cause of death is unknown due the attempt to dispose of her body, although she is known to have suffered fractures to her sternum, ribs and jawbone.